Despite his close past ties with the pharmaceutical industry, a wide range of hospital executives and healthcare trade groups have come out in support of Alex Azar to be the next secretary of health and human services. Mr. Azar, who ran Eli Lilly’s U.S. operations for five years until he stepped down from the position last January, was deputy secretary of HHS in the George W. Bush administration. Healthcare-sector officials generally lauded his mix of work experience in the public and private sectors, and his understanding of the sprawling inner workings of HHS. 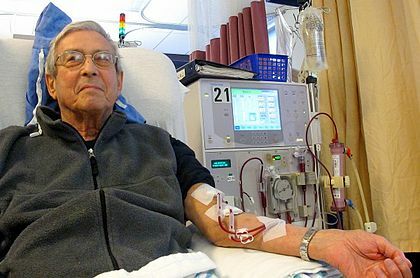 As a way of cutting costs and improving outcomes, some American healthcare institutions and individual clinicians are educating more patients to perform self-care functions, such as dialysis. This movement has been underway for some time in Europe. Of course, self-care challenges healthcare leaders to reconsider the balance of responsibility between clinicians and patients.